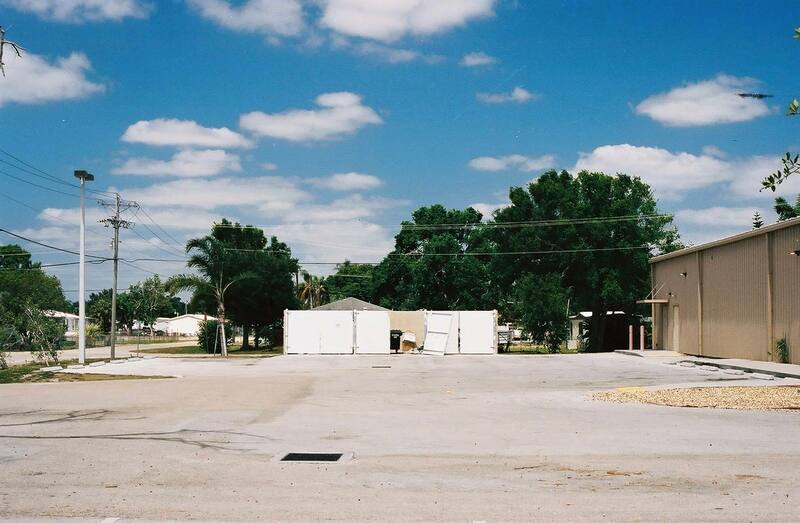 In rural southern Florida, on the western edge of Lake Okeechobee, Glades County is a hub of incarceration, immigrant detention, and deportation. Thirteen percent of adults in the county are living behind bars—some at a private prison and some at the Glades County Detention Center, the county jail. Part of the answer is that county leaders, working with private investors, attempted to tie the economic well-being of their community to increasing immigrant detention. This is a story of a public jail being used to turn a tax-free profit for investors who wagered on the expansion of punitive and draconian immigration policy. It brings to light the complicity between the public and private sectors in the continuation and growth of mass incarceration. In the case of Glades County, this was highlighted when a recent IRS ruling challenged the tax-exempt status of the bonds that were used to finance the jail. This is not a unique story. This example illustrates the connection between the growing criminalization of immigration and rural jail expansion in the United States. By following the money, one can better understand some of the financial interests behind the continued growth of public jails and prisons. What is now called Glades County was a place of refuge where people would go to try and live full lives away from state-sponsored racial violence. In the decades before Florida was admitted to the union as a slave state in 1845, Creek and other native people migrated to Spanish-controlled Florida along with enslaved people of African descent fleeing the United States. Their descendants created the Seminole nation in what is now known as the Everglades—swampland that extends from present-day Orlando to the end of the peninsula. During the Seminole Wars in the nineteenth century, many of their descendants were killed or forcibly relocated to Oklahoma by the U.S. government. 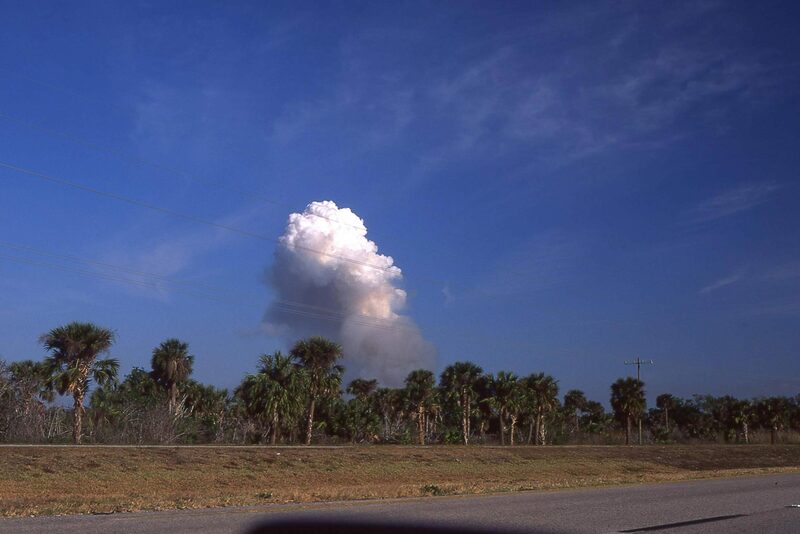 Many of those who remained were moved to a number of small reservations, including the Brighton Reservation which lies within the borders of Glades County. In 2007, Glades built a jail that now holds more than 500 people on a flat expanse of sugarcane outside of Moore Haven, the county seat. There are fewer people arrested total, over the course of a year in Glades, than there are jail beds in the county. 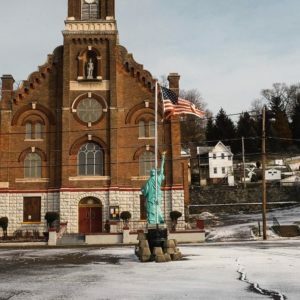 This is because the jail was not built to serve the local justice system, but rather with the explicit aim of bringing in revenue by renting beds to U.S. Immigration and Customs Enforcement (ICE). In building the jail, Glades County aligned itself politically with the increased criminalization of immigration. 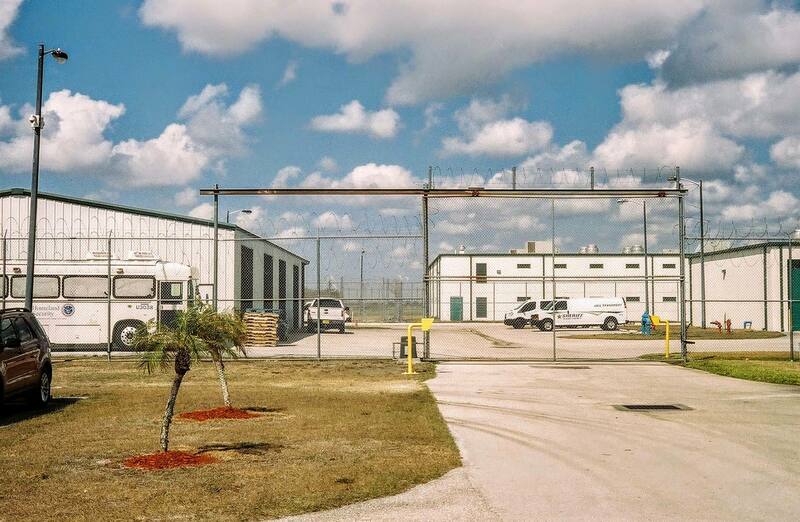 This investment in immigration detention was made possible through the Glades Correctional Development Corporation (GCDC), a nonprofit incorporated in 2002 for the express purpose of building the jail. To fund construction, the GCDC issued tax-exempt bonds for the entire cost—$33 million. When a state or local government needs to raise money to build infrastructure, it sells bonds to investors. Bonds are debt obligations, a form of borrowing; they are a promise that the government will pay back the loan over a given period of time, with interest. General obligation bonds, which are often issued for public infrastructure projects not expected to generate revenue, such as schools, roads, and (usually) jails, are backed by the jurisdiction’s ability to collect taxes and thus pay off the principal and interest. In many cases, such borrowing requires voter backing, because the taxpayers are legally obligated to repay the bonds. Revenue bonds, on the other hand, are backed by future projected revenue. For example, if the Port Authority of New York & New Jersey—a public corporation—were to fund the construction of a new bridge, it could issue revenue bonds backed by future tolls. The interest rate on the bonds—the cost of the money—would depend on risk, meaning the likelihood that the future toll revenue would be sufficient to cover the debt service. By creating the nonprofit GCDC to issue these bonds, the county was shielded from the responsibility of having to pay back the money in case revenue from ICE was not forthcoming. But the nonprofit GCDC is very much of Glades County, even if not technically a part of the county government itself. Chartered by community leaders and elected county officials in Glades, it is in essence another county agency. The board is made up of local business owners, elected county officials, and a former county sheriff. The county’s decision to protect itself from liability through a nonprofit turned out to be farsighted. Because of Glade’s distance from major cities and the already large, federally-operated immigration detention facility in Miami, filling the Glades County Detention Center is not necessarily a priority for ICE. After the facility opened in 2007, the number of people ICE locked up in Glades failed to match the projections of the jail boosters. GCDC found itself unable to make payments to the bond holders. In 2014, with the future of the Glades County Detention Center in question, Sheriff Stuart Whiddon complained bitterly to the local paper about the lack of detainees. “They said if you build it, we’ll fill it,” he said. “ICE is not holding up their end of the bargain. Glades County and the stockholders have been hung out to dry by ICE. If it continues to go south, the stockholders are going to lose a lot of money, and a lot of people will be out of a job.” Stuart Whiddon retired at the end of 2016, after a series ran in the Miami Herald detailing the involvement of the Glades County Sheriff’s department in a multi-county money laundering scandal. Whiddon now sits on the board of the GCDC. I asked Ahern about the near-closure of the Glades County Detention Center. “With the previous administration, we didn’t have any customers,” he said, referring to the lower than expected numbers of immigrant detainees in Glades under the second term of the Obama administration. A look at the jail’s rocky financial history bears this out. As the number of people held in the jail for ICE dropped from 248 in July 2014 to 68 in January 2015, the monthly revenue dropped from $800,229 to $327,271. In August 2014, GCDC began operating at a loss and stopped making bond payments. By mid-July 2015, revenues were so low they could not cover operating costs and GCDC asked for an advance from the Debt Service Reserve fund. When September 2015 came and went with no decision, another payment was missed. On November 19, 2015, GCDC entered into a forbearance agreement with UMB Bank, the trustee, delaying foreclosure until October 1, 2016. The change from the Obama administration to the Trump administration signaled a reversal of fortune for the jail, and thus for the county. Since the election of Donald Trump—for whom 68 percent of the county voted—ICE has been sending substantially more people to Glades County. 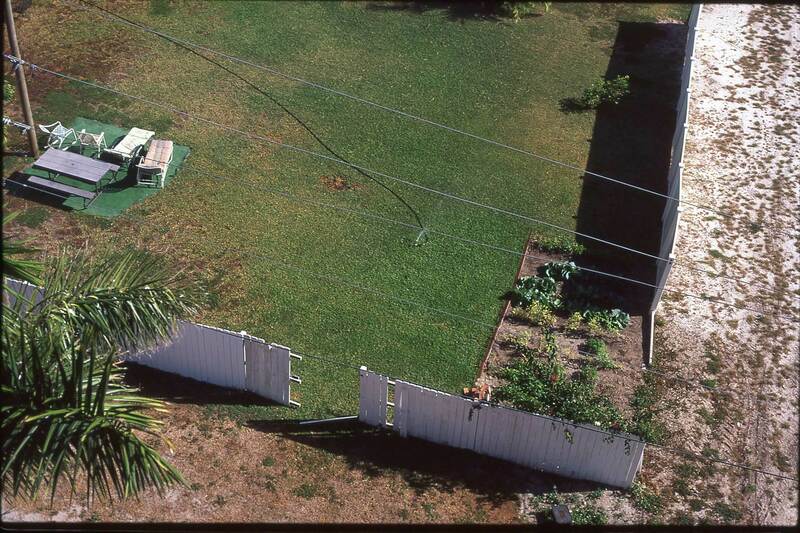 In 1994, fewer than 7,000 immigration beds were available nationwide. Today, that number stands at 40,520. Over the course of the four years following the Bush administration’s creation of the Department of Homeland Security (DHS) in 2002, the budget for immigration enforcement doubled from $6.2 billion to $12.5 billion. The annual congressional budget allocations for the detention of immigrants increased steadily between fiscal years 2005 and 2018. Although the Obama administration narrowed ICE’s enforcement priorities in 2014, it removed record numbers of noncitizens. The Trump administration has sought to expand the use of enforcement and detention, reversing the prosecutorial discretion policy enacted by President Obama. The number of people detained by ICE rose following President Trump’s inauguration, and the Trump administration anticipates holding 47,000 people daily by 2019. In early January 2017, the local paper, Glades County Democrat, ran a story outlining what the new president would mean for Glades. Sheriff David Hardin, a Democrat, was reported to be “very excited about the election of President Elect Donald Trump because that could mean more detainees and more revenue.” “We are very encouraged,” Hardin said, “The bond holders and investors are encouraged. We look forward to a good first year.” According to Chief Robert DeMann, who has run the jail since it opened in 2007, ICE began sending considerably more people to Glades County by February 2017—only a month after Trump’s inauguration. Business is now brisk. When I spoke with DeMann at the Glades County Detention Center in April 2018, 450 people were being held for ICE at the jail. “We were probably [at] less than 200 ICE detainees prior to the inauguration,” he told me. As Sheriff Hardin noted, more detainees means more money. Where does the money go? According to the GCDC’s financial statements, one in five dollars that comes into the jail is paid to the investors. Just under half of the money brought into the Glades County jail goes to wages, benefits, and overtime for the officers and staff, who are employed by the Glades County Sheriff’s Department. Around 22 percent is spent on medical care and food for people locked up in the jail. That money comes from taxes collected in Glades County and across the country. By design, most of the revenue to the jail comes from ICE, which is funded by federal taxes. The sheriff’s department, which is funded both by taxes in Glades County and by revenue coming in from ICE, also pays a per diem rate to the GCDC for every prisoner held in the jail on behalf of the county, whether the person is serving out a county sentence or is being held pretrial. In other words, after wages and utilities are paid, public money flows through the Glades County jail to private investors via the nonprofit GCDC. Despite the broad conversation about prison privatization and incarceration as a profit-making enterprise, most people locked up in America’s extensive archipelago of prisons and jails are incarcerated in public facilities. About 8 percent of people held in the state and federal prison systems are incarcerated in private prisons. And while more than 60 percent of immigrant detainees are held in privately-run facilities, the Glades case demonstrates that there is money to be made from the public system. For almost every jail construction project across the country, there are lenders who stand to gain from investment in incarceration. In Glades County, among the cane fields, local officials partnered with investors to try and reap the benefits of a nonprofit status to avoid taxes and risk—while incarcerating people to make interest payments on millions of dollars in loans. 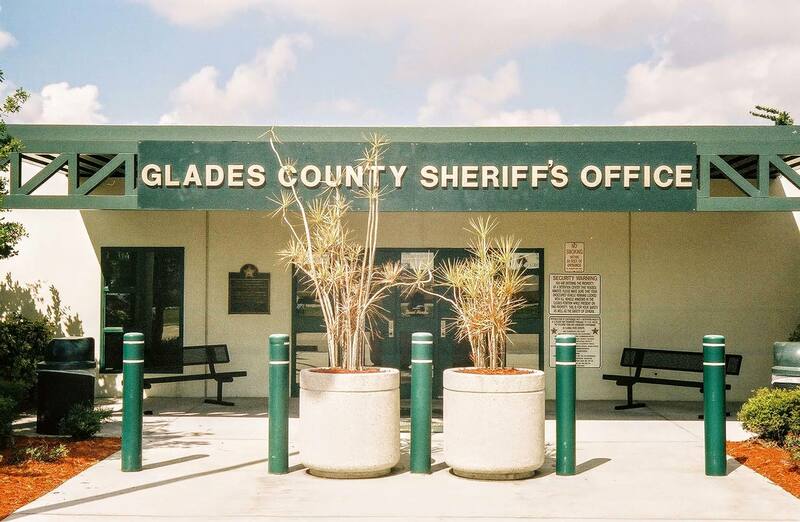 Unlike a private prison company, Glades County itself does not profit directly from this arrangement, although it did allow the Glade County Sheriff’s office to significantly expand payroll and provided funds for a new building. The construction of the Glades County Detention Center tied the county politically to increasing criminalization of immigration. For now, the GCDC owns the Glades County Detention Center. 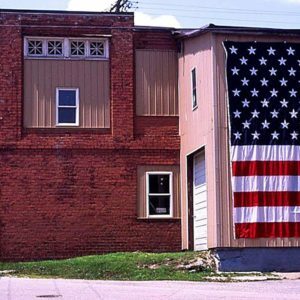 When the bonds mature in 2030—when the debt is paid off— GCDC will transfer ownership of the jail to the county. “It’s a management agreement is what it is,” says Chief Robert DeMann. The IRS, however, considers the jail in Glades County to be a private detention center. In 2016, following the completion of a 13-year rule-making process on tax exempt bonds, it informed the GCDC that the bonds should never have qualified for tax exemption. According to the IRS, the Glades County Detention Center, by relying on revenue from ICE, should have been designated as a private business. Documents compiled by the IRS show that between 2007 and 2015 “federal inmates represent[ed] over 85 percent of all inmates in the facility,” thus clearly meeting—and far surpassing—the 10 percent threshold laid out in the IRS private business test. By issuing tax-exempt bonds in 2007, GCDC helped the investors dodge income taxes on $23.5 million over the course of the decade. And by using a nonprofit corporation to float the bonds for the jail—bonds backed only by projected future revenue from ICE—the county shielded itself from the risk of having too few ICE detainees housed in the jail. In compliance with the new IRS regulations, the GCDC converted all the bonds to taxable in June 2017, relieving investors from tax liability for income from the bonds up to that point. Donald Trump’s presidency has been deeply intertwined in the politics of immigration—a focus that started before he took office. Trump campaigned on a platform that inflated the threat that people faced from so-called criminal aliens. He also promised to increase the ability of ICE to detain and deport people. Government support for the criminalization and deportation of immigrants in Glades, however, may be understood less as a reflection of public safety concerns and more as the inevitable consequence of investing in a massive jail that depends on immigration detention for economic survival. This is the reason that Glades County has a jail 13 times larger than anything it might possibly use for county needs. It is also why some communities now have both economic and political interests in enabling ICE to detain and deport increasing numbers of people. And it is why the IRS will tell you that sometimes a county jail is, in fact, a private detention center.